BERGEN TOOLS, WPI Technic, need we say more. 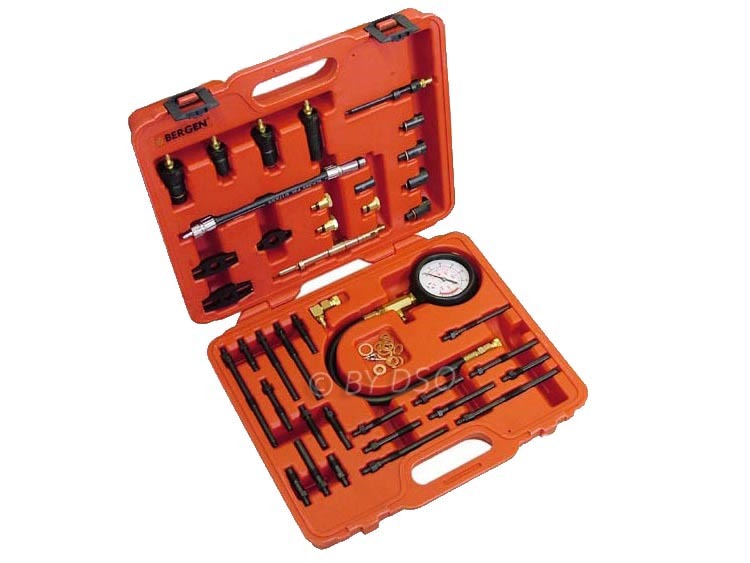 This comprehensive kit covers most cars for testing their compression for diesel and petrol engines. Featuring a 600PSI gauge with extra large rubber bumper, straight and right angles quick connect fittings and an extensive range of spark/glow plug and injector adaptors. This kit will cover most modern car, van, truck, bus, agricultural and marine engines.